Volume IV - The Once and Future King? Harboring bin Laden, but hesitant to sever diplomatic ties with the U.S. completely, the Taliban claimed there was insufficient evidence to convict bin Laden of terrorism, going so far as to say that Saddam Hussein was behind the 1998 U.S. embassy bombings in Nairobi and Dar es Salaam. The newly declassified documents also show that State Department officials rejected Taliban claims that the U.S. supported bin Laden during the Soviet occupation. U.S. officials clarify that, although Osama bin Laden may have fought with other U.S.-funded anti-Soviet resistance groups in Afghanistan, "we had never heard his name during that period and did not support him at that time." Washington, September 11, 2004 - Mullah Omar, the Taliban's supreme leader, initiated a phone call to Washington - his only known direct contact with U.S. officials - two days after President Clinton sent cruise missiles to destroy Osama bin Laden's terrorist training camps in Afghanistan in 1998, according to newly-obtained documents posted on the Web by the National Security Archive. According to the documents, obtained through the Freedom of Information Act, Omar denied knowing of any "evidence that bin Laden had engaged in or planned any terrorist acts while on Afghan soil." [Doc 2]. The U.S. State Department responded by providing evidence of bin Laden's terrorist activities in one of ultimately thirty-three contacts with the Taliban, thirty by the Clinton administration and three by the Bush administration before 9/11. All diplomatic attempts to get the Taliban to extradite Osama bin Laden ultimately failed. Frequent contradictions in Taliban statements to U.S. diplomats. The Taliban claimed that 80% of their officials and a majority of Afghans oppose Osama bin Laden's presence, yet also claimed that the Taliban would be overthrown were they to extradite bin Laden, due to his popularity in Afghanistan and around the Muslim world. Mullah Omar called bin Laden "an enemy," according to a Pakistani informant, while other Taliban officials tell the U.S. that Mullah Omar is the primary reason why bin Laden continued to be afforded sanctuary in Afghanistan, despite the fact that 80% of Taliban officials opposed his presence . U.S. Embassy (Islamabad), Cable, "Afghanistan: Raising Bin Ladin With the Taliban" Mar 4, 1997, Confidential, 5 pp. Mullah Ehsanullah Ehsan, an influential member of the Taliban Inner Shura, communicates his belief to U.S. embassy officials that the expulsion of Saudi terrorist Osama bin Laden from Afghanistan is not a solution to the bin Laden "problem." "To where and how should he be expelled? ... Bin Laden was expelled from Saudi Arabia to Sudan and from Sudan to Afghanistan." The Taliban official also suggests that bin Laden did not have the communications equipment to lead his followers in Saudi Arabia and that the Taliban did not know where bin Laden was. If he is "located in areas under our control, we will definitely impose a ban on his activities." According to Mullah Ehsan, the real problem is not bin Laden, but the failure of the U.S. government to recognize the legitimacy of the Taliban government, which he advised America to do, "If the U.S. did not want every Afghan to become a bin Laden." The Taliban representatives furthermore erroneously claim that bin Laden was invited to Afghanistan by the "enemies of the Taliban," and was not giving any financial assistance to the Taliban. According to The 9/11 Commission Report (p65) and Ahmed Rashid's Taliban, (p133), bin Laden's 1996 return to Afghanistan was supported by the Nangarhar Shura in Jalalabad, a local council of Islamic leaders that was not aligned with either the Rabbani government in Kabul or the Taliban in Kandahar. When Jalalabad fell to the Taliban in September 1996 bin Laden solidified his ties to the Taliban and the relationship grew. 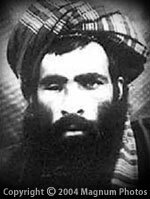 Taliban supreme leader Mullah Omar initiates a phone conversation to the U.S. Department of State, two days after the August 20, 1998 U.S. missile strike on Afghanistan and Sudan in retaliation for the terrorist attacks on U.S. embassies in Kenya and Tanzania. Mullah Omar speaks with U.S. director for Pakistan, Afghanistan, and Bangladesh Affairs (SA/PAB Director) Michael E. Malinowski. This phone call appears to be the only time Mullah Omar has spoken directly with a U.S. government official. Omar suggests President Clinton resign in order to restore U.S. popularity in the Islamic world and asserts the U.S. missile attack will spread bin Laden's anti-American message by uniting the fundamentalist Islamic world and will cause further terrorist attacks. He requests proof that bin Laden was involved in the Africa bombings, claiming he saw no evidence implicating bin Laden in terrorist activities since he has been afforded sanctuary in Afghanistan. Omar's rhetoric mirrors bin Laden's as he criticizes the U.S. for maintaining a military presence in Saudi Arabia, but Malinowski remarks that Omar "was in no way threatening." The document concludes that this unusual communication from the head of the Taliban "is indicative of the seriousness of how the Tall Ban [sic] views the U.S. strikes and our anger over bin Laden." U.S. Department of State, Cable, "Message to the Taliban on Bin Laden," August 23, 1998, Secret, NODIS, 6 pp. This cable, apparently a response to Mullah Omar's request for evidence against bin Laden, outlines the justification for the U.S. military action, the American case against bin Laden, and grounds for bin Laden's expulsion from Afghanistan by the Taliban. The document claims the United States has "reliable intelligence that the bin Laden network has been actively seeking to acquire weapons of mass destruction - including chemical weapons - for use against U.S. interests." The document also notes that bin Laden's network has tried in the past to blow up U.S. airliners in the Pacific. This SITREP cable, part of a State Department reporting series established to gauge foreign reactions to the strikes, documents the impact of the August 20 action in Pakistan and Afghanistan. The Vice Chairman of the Joint Chiefs of Staff, General Joseph W. Ralston, was present in Islamabad during strikes against terrorist targets in Afghanistan. The Pakistani press reported that Ralston was in Islamabad to assure the government of Pakistan that it was not being attacked by India if the Pakistani Air Defense detected the missiles. Though they did not notice the attack, officials in the Pakistani government were outraged at the U.S. violation of Pakistani airspace and call for an investigation. The Taliban reportedly believed the U.S. strikes on Khost were appalling, since the Taliban had repeatedly promised to take action against bin Laden if evidence was presented linking him to terrorism. In the wake of this U.S. missile strike, the Taliban hardened its stance on extraditing bin Laden. Taliban religious leaders Mullah Zakiri and Mullah Shinwari issued a fatwa, an Islamic legal ruling, requiring Muslims to protect bin Laden. The U.S. Embassy in Pakistan reports that the Pakistani Military Press Office has issued a statement to clarify General Ralston's presence in Islamabad on the evening of the U.S. missile strikes. Ralston requested permission to visit Islamabad to explain the presence of U.S. ships in international waters off the coast of Pakistan. Ralston assured the Pakistanis the ships were there for possible action against terrorists in Afghanistan. The report concludes that if the attack were detected by Pakistani Air Defense, Ralston would be in a position to clarify the action immediately. The cable goes on to report that the Taliban have received a letter from the U.S. providing evidence that bin Laden has engaged in terrorist activities, but that the Taliban see the letter as "too general" to warrant bin Laden's extradition. In any case, the Taliban are "not in favor" of talks with the U.S. because of the missile strikes. U.S. Embassy (Islamabad), Cable, "Afghanistan: Demarche to Taliban on New Bin Laden Threat," September 14, 1998, Secret, 5 pp. Meeting in Islamabad with a U.S. official, Abdul Hakim Mujahid, Taliban envoy to the United Nations, said that Mullah Omar is the primary reason why Osama bin Laden continues to be afforded sanctuary in Afghanistan, as 80% of Taliban officials oppose this policy, including Taliban Deputy Council leader Mullah Mohammad Rabbani. Mujahid added that "very few Afghans are in favor of bin Laden's presence in Afghanistan." Mujahid also tried to bolster relations with the U.S. by appealing to commonalities between the United States and Afghanistan, including their shared "dislike of Iran." Upon hearing of the Taliban capture of the central Afghan town of Bamiyan, the U.S. official asked the Taliban leadership to defend the Shiite Muslims in the region and the Bamiyan Buddha statues. Mujahid assured the U.S. that Mullah Omar already ordered the protection of the statues and that many of the Shiites in Bamiyan opposed the Taliban, and therefore had to be defeated. U.S. Department of State, Cable, "Message to Mullah Omar," October 1, 1998, Secret, NODIS 7 pp. This cable consists of a letter from Taliban Supreme Leader Mullah Omar faxed to U.S. officials on September 24, 1998 and a subsequent response from the U.S. State Department. Omar's letter advised the U.S. to alter its policies or risk alienating the Muslim world and claimed that bin Laden was "just an excuse made by the U.S. and this is hurting the U.S." The State Department reaction contains "with us or against us" language reminiscent of many U.S. officials' speeches in the days and weeks following the September 11, 2001 attacks on the United States. According to the 1998 cable, this is a "clash between the forces of the past and the forces of the future, between those who tear down and those who build up, between hope and fear, chaos and community. Those who continue to harbor and welcome terrorists must accept responsibility for the actions of the terrorists." "The only dividing line is between those who practice, support or tolerate terror, and those who understand that it is murder, plain and simple." U.S. Ambassador to Pakistan William B. Milam discusses Afghanistan and Osama bin Laden with Pakistan Foreign Secretary Shamshad Ahmed. The Ambassador states that although there are a number of "sticking points in our relationship [with the Taliban] which we are willing to discuss, preeminently the status of women and girls, there was one issue on which we had no flexibility. This was the presence of Osama bin Laden and his organization in Afghanistan." Ambassador Milam asks for Pakistan's help on the bin Laden issue and stresses "that U.S. patience was growing thin" and bin Laden's extradition was something the U.S. needed to have "settled 'in a matter of days' rather than weeks or months." A Pakistani official has told U.S. Ambassador to Pakistan William B. Milam that the Taliban "want to rid themselves of terrorist Usama bin Ladin," and listed 3 possible ways of doing so. The unnamed official emphasized option two, in which the U.S. would purchase bin Laden from the Taliban for a large sum. The cable also refers to recent meetings in which the Taliban claimed that if they expelled bin Laden, they would be overthrown because the Pashtun tribal system dictates that they must provide refuge to those that seek it. U.S. Ambassador Milam met with the Taliban Minister of Foreign Affairs, Maulawi Wakil Ahmed, on October 11 in the first U.S. meeting with a major Taliban official since the August 20, 1998 U.S. missile strike. The Taliban called bin Laden "a serious problem." As the U.S. stressed the urgency in getting bin Laden out of Afghanistan, Wakil continued to give the now repetitive Taliban explanation that the Afghan people would overthrow the Taliban if they handed bin Laden over. This contradicts other messages, such as those from Abdul Hakim Mujahid on September 14, 1998 in which the Taliban stated that few Afghans were in favor of bin Laden's presence in Afghanistan. Wakil did, however, ask questions regarding bin Laden's possible treatment in Saudi Arabia if bin Laden were turned over to Saudi authorities. Wakil also exaggerated in statements that bin Laden was invited to Afghanistan by the previous regime and that the Saudis told the Taliban to keep bin Laden in Afghanistan after they captured Jalalabad. Coordinating with United Nations efforts in Afghanistan and discussing ways to compel Saudi Arabia, Pakistan and the Taliban to cooperate on the extradition of Osama bin Laden, the State Department reiterates "that the U.S. reserves the right to take military action concerning bin Ladin and will hold the Taliban directly responsible for any terrorist activities bin Ladin engages in." The cable recognizes the need for increased pressure on the Taliban for bin Laden, "before the U.S. strikes on Khost - a wasting asset - become old news to the Taliban leadership," and also observes that Saudi Arabia needs to be "the cornerstone of U.S. efforts to bring bin Ladin to justice." According to two state department sources, including one Pakistan government official, the Taliban continue to grow hardened and more inflexible on the issue of extraditing Osama bin Laden. Sources attribute the uncompromising Taliban position "to press reports that the Saudi Interior Minister has exonerated bin Ladin for involvement in the Khobar Towers and Riyadh bombings, as well as Taliban frustrations that the U.S. had not provided them any evidence" proving bin Laden's involvement in terrorist activities. The Taliban also announced a cut-off date of November 20, 1998 for the submission of evidence against Osama bin Laden to the Taliban's Supreme Court. In this cable, Ambassador Milam is asked to pass the message along to the Taliban that the U.S. has now provided greater evidence of bin Laden's terrorist activities and that the Taliban will be held responsible for any terrorist action that bin Laden undertakes. A low-level Taliban official, Syedur Rahman Haqqani, said that bin Laden "is totally under control," and that bin Laden should not be held responsible for the terrorist activities of those he had trained or has had contact with. Over 20,000 people were trained for the jihad and bin Laden "cannot be held accountable for all of their actions." Haqqani "smugly" asserted that the Saudi attitude regarding bin Laden remained unclear. Furthermore, the Taliban welcomed proof linking bin Laden to terrorist activities. The Taliban Supreme Court announces there is insufficient evidence to implicate Osama bin Laden in terrorist activities, but Wakil Ahmed, a close aide to Taliban Supreme leader Mullah Omar, contacts State Department officials, expressing that "Kandahar did not believe that the bin Laden matter had been resolved by the recent Taliban court ruling." Wakil mentions that video evidence against bin Laden given to the Taliban by the U.S. contained "nothing new" and was therefore not submitted to the court. In an extensive discussion with Alan W. Eastham Jr., Deputy Chief of Mission to the U.S. Embassy in Pakistan, Wakil observes that "Saudi Arabia held the key to any resolution" to the bin Laden issue, but the Taliban felt the Saudis were unwilling to discuss bin Laden. He claims this is "unfortunate because the Taliban had given the Saudis an authentic proposal for resolving the bin Laden issue. . . . It was only Saudi pride that stood in the way." Wakil, claiming that "bin Laden had once been a trained guerilla supported by the United States," is corrected by Eastham, who clarifies that "while [bin Laden] may have fought with a resistance group which had received U.S. support, we had never heard his name during that period and did not support him at that time." While further questioning the culpability of bin Laden in the August bombings of the U.S. embassies in Kenya and Tanzania, Wakil "observed that Saddam Hussein was the root cause of all these problems." U.S. Embassy (Islamabad), Cable, "Usama bin Ladin: Charge Reiterates U.S. Concern to Key Taliban Official, Who Sticks to Well-Known Taliban Positions," December 19, 1998, Secret, 5 pp. 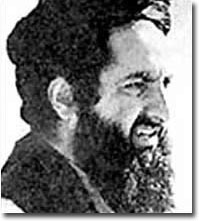 Wakil Ahmed, a close aide to Taliban Supreme leader Mullah Omar communicates to Alan W. Eastham Jr., Deputy Chief of Mission at the U.S. Embassy in Pakistan that he has "personally discussed U.S. concerns with 'Amir-Al-Mumineen' (Commander of the Faithful) Mullah Omar," and the Taliban still consider Osama bin Laden "innocent," adding, "It is unbelievable that this small man did this to you." Wakil further claims that the Taliban remain "deeply upset" over the U.S. bombings of training camps in Khost and compares the U.S. cruise missile attacks to a terrorist bombing. "The U.S. said bin Ladin had killed innocent people, but had not the U.S. killed innocent Afghans in Khost too? Was this not a crime?" The cable quotes the Taliban official, "I (Wakil said) consider you (the U.S.) as murderers of Afghans." U.S. Embassy (Islamabad), Cable, "Usama Bin Ladin: Bin Ladin Uses Recent Interviews to Assert Right to WMD, and to Threaten U.S. and U.K Over Iraq," Dec 28, 1998, Secret, NODIS, 5pp. Despite the Taliban's claim that bin Laden was denied all access to the media, this cable reports that he has given two interviews since the August 20, 1998 U.S. strike on terrorist camps in Afghanistan and Sudan. Bin Laden asserted his right to use weapons of mass destruction, and called for Muslims to kill U.S., British, and Israeli civilians, referring to the recent military strikes in Iraq as justification. He denied any connection to the August 7, 1998 bombings in Africa and alleged the existence of a Saudi hit squad out to get him. According to bin Laden, there was mutual respect between himself and the Taliban, as they considered each other to be "good Muslims." U.S. Embassy (Islamabad), Cable, "Afghanistan: Taliban "Threat Warning"," Dec 29, 1998, Secret, NODIS, 2pp. The Taliban has sent the U.S. an unspecific message that terrorists backed by Ahmed Shah Masoud and the intelligence services in Iran are conspiring against the U.S. The State Department believes that the Taliban's motives for sending the message are probably politically motivated, as Masoud and Iran remain some of the Taliban's most powerful enemies. U.S. Embassy (Islamabad), Cable, "Usama Bin Ladin: Charge Underscores U.S. Concerns on Interviews; Taliban Envoy Says Bin Ladin Hoodwinked Them and it Will Not Happen Again," Dec 30, 1998, Secret, NODIS, 4pp. In a meeting with a U.S. official, Taliban representative Syedur Rahman Haqqani asserted that the Taliban recently allowed Osama bin Laden to be interviewed in order to give him a chance to renounce terrorism. Instead, bin Laden strongly reiterated his commitment to terrorism against American citizens and once again claimed the right to use weapons of mass destruction against Western targets. Haqqani again promised that bin Laden would not be permitted to engage in any further press appearances or terrorist activities. "The U.S. should believe the Taliban that he [bin Laden] will not be permitted any more interviews and not allowed to engage in terrorist activities." The fact that bin Laden had "tricked" the Taliban did not hurt his status as a "guest" of the Taliban in Afghanistan. High-ranking U.S. and Taliban officials made no progress in discussing the fate of bin Laden, but the Taliban unequivocally agreed that "hijacking is a terrorist act; The Taliban always have and always will condemn terrorism, including hijackings." In attendance at the two-hour meeting were U.S. Assistant Secretary of State for South Asia Karl F. Inderfurth, U.S. Coordinator for Counterterrorism Michael Sheehan, Taliban Director for Administration Amir Khan Muttaqi, and Taliban Ambassador to Pakistan Syed Mohammad Haqqani. A Taliban official whose name is excised from the cable surprises U.S. Ambassador to Pakistan William B. Milam by breaking from the usual Taliban responses - even refraining from questioning the validity of U.S. evidence linking Osama bin Laden to terrorism. The Ambassador observes that the "tone and statements" of the official remained "far less obstreperous than normal Taliban rhetoric." Ambassador Milam clarifies for the Taliban official that "the U.S. was not against the Taliban, per se, was not out to destroy the Taliban," however that the "UBL issue is supremely important and must be resolved so the other issues can be discussed in a more amenable atmosphere. The one issue that cannot be subordinated or diminished is bin Ladin. If the U.S. and the Taliban could get past bin Ladin, 'we would have a different kind of relationship.'" The unnamed Taliban official in this document is probably Taliban Deputy Foreign Minister Abdul Jalil. Another declassified State Department cable, Islamabad 05779, also dated September 19, 2000, reiterates that a Taliban official who met with Ambassador Milam on September 19, 2000 requests "a follow-up meeting with U.S. officials on or about September 30, probably in Frankfurt." A cable dated November 9, 2000, State 215948, discusses meetings about bin Laden held in Frankfurt, Germany on November 2-3 between senior U.S. officials Alan Eastham and Edmund Hill and Taliban Deputy Foreign Minister Abdul Jalil. U.S. Department of State, Cable, "Taliban Deliver Letter from Muttawakil; Say They Will Comply With Office Closing in New York," February 15, 2001, Confidential, 5 pp. The State Department informs several key diplomatic posts that the Taliban have delivered a letter from Foreign Minister Abdul Wakil Muttawakil to U.S. Secretary of State Colin Powell asking the Secretary to reconsider the policies of the previous administration. The message reiterated the claim that bin Laden has been contained from engaging in any "military" activities, and there was no evidence linking him to any terrorist plots. The Taliban intimated that they would consider trading bin Laden for U.S. recognition. The Taliban furthermore claimed that bin Laden is disliked by "80 to 90 percent" of Afghans. Noorullah Zandran, a Taliban representative, told the Americans, we "wished your missiles had hit him." 1. The 9/11 Commission Report: Final Report of the National Commission on Terrorist Attacks Upon the United States, Chapter 3, Section 3.4, Page 93. Emphasis in original.